Can I let you in on a secret? I love makeup tutorials on Instagram. Do you know the ones I'm talking about? They use what feels like a bajillion products to contour, sculpt and transform faces. I can't put it down to why because there is a lot of packaging involved; maybe it's the artist in me enjoying the process. Makeup is a fun medium for self expression. I liken it to putting on a costume. Similar to slipping on a costume, makeup can be help to trick you into behaving differently. For instance, when I put concealer over the dark circles under my tired eyes and mascara on my lashes after a long night with my teething baby, I don't feel as sleep deprived. Is that just me? Humans love affair with makeup has been going strong for thousands of years. But over the last four-five decades the packaging has become more and more wasteful. Looking for zero-waste and plastic-free makeup has been an intentionally slow journey as I wanted to make sure the businesses I circulated my money with ticked the right boxes. This concealer is one of the last items i've been searching for. Apart from my sisters foundation I borrowed for my wedding, I hadn't used anything on my face except tapioca powder since 2014. It's what helps control the shine my oily skin creates. It wasn't until my son came along and some very long nights as a result that I wanted to use concealer. I feel comfortable and confident with and without makeup. However, I'm a working mother and some days I would like to fool my brain into thinking I am more awake than tired. Dirty Hippie Cosmetics Mineral Cream Concealer is made here in Australia, in Bywong to be precise. Most of the low waste beauty products I've purchased have been from the US but if I can i'd prefer to support the local zero waste market and of course, reduce those air miles needed to send items from overseas. Dirty Hippie Cosmetics use newspaper and recycled paper packages to ship their products along with a little note also on recycled paper. Both of the newspaper and packaging have been reused. 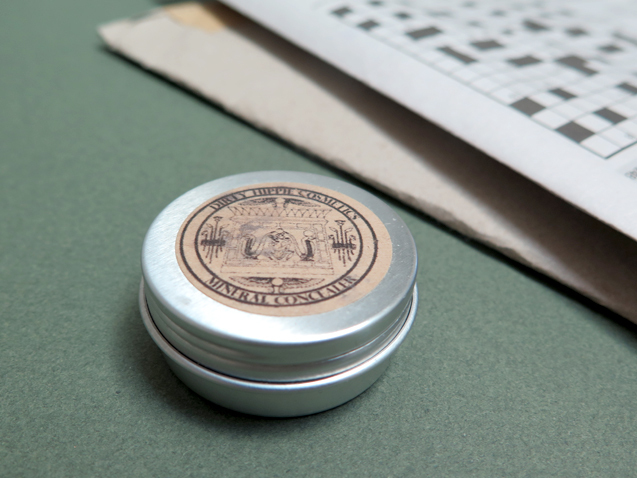 Labels are made of recycled paper printed in-house with vegetable ink. 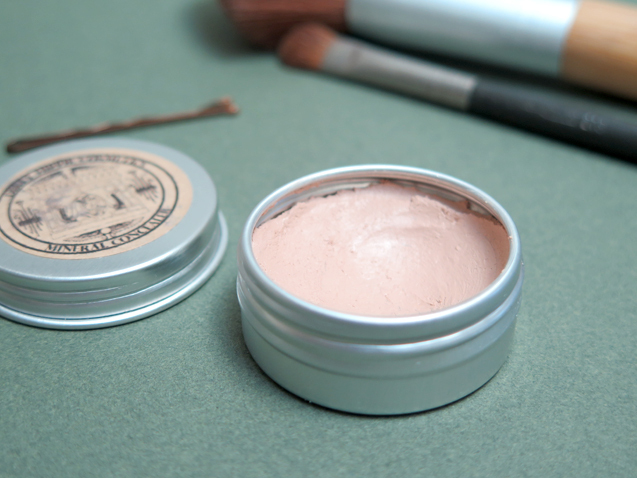 The handmade Mineral Cream Concealer is housed in a secondary aluminium tin, meaning the aluminium is recycled. I prefer to buy ready-made beauty products in either in cardboard or metal, as these two materials have a higher chance of being recycled in Australia. Cardboard can be composted too. While glass has the potential to be recycled continuously (ie glass jar recycled into a glass jar), here in Australia our booming construction and infrastructure industries require a fair amount of sand which they can obtain from glass. The Australian recycling industry is going through a transition since China has reduced what they accept for recycling from us, so hopefully one day in the not so distant future we'll see more true glass jars to glass jars recycling right here in Australia. While recycling is great (when done correctly), saving on resources, materials and energy by offering refills is a better choice. Dirty Hippie Cosmetics accept tins and bottles back for reuse and refills on all full sized products to residents of Australia. Imagine if every company offered this! We certainly wouldn't be experiencing the panic our recycling industry is facing right now. Let's talk about the actual concealer; does it work? I took before and after photos last year in September and I'm still using the Mineral Cream Concealer in shade moonlight. It's not heavy enough to hide my freckles which i don't ever want to cover up (love my sun kisses) but provides enough coverage to disguise the dark circles. I also apply it to t-zone. I use my fingers to apply but if you have a foundation brush it would work too. Once applied to my skin I brush over with tapioca face powder to combat any shine. It's a product i'd definitely repurchase from Dirty Hippie Cosmetics. 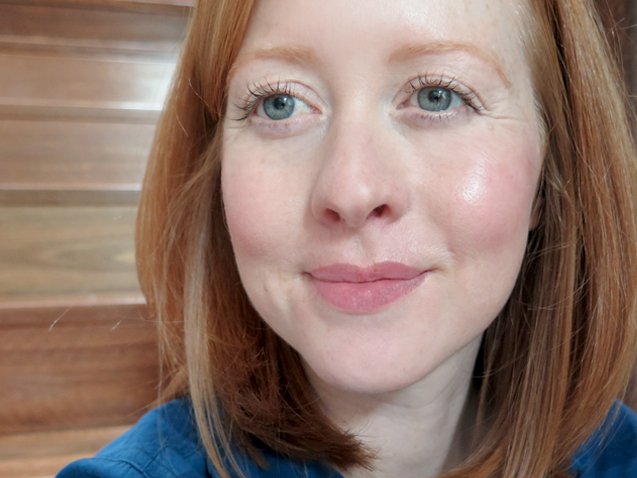 The added SPF 15 makes my pale skin happy, even though I wear a sunscreen and hat most days. I'm happy with the ingredients, there are no synthetic chemicals, preservatives and additives. Since my purchase last year the formula has been updated slightly to be a little thicker and less oily. The business is quick to respond with any queries too, which is what a customer wants. They also allow for custom orders. Dirty Hippie Cosmetics products are vegan, cruelty free, organic, free of harmful toxins, with ethically sourced and fairtrade ingredients. I did notice a low waste mascara available on their Etsy store – let me know if you have tried it. I'd be keen to test the BB cream as I've never used this type of produce before. I'm still not sure what BB cream does. Is it like foundation? Dirty Hippie Cosmetics were kind enough to include a Nourishing Lip and Cheek for me to try. I'm wearing it in the last photo. 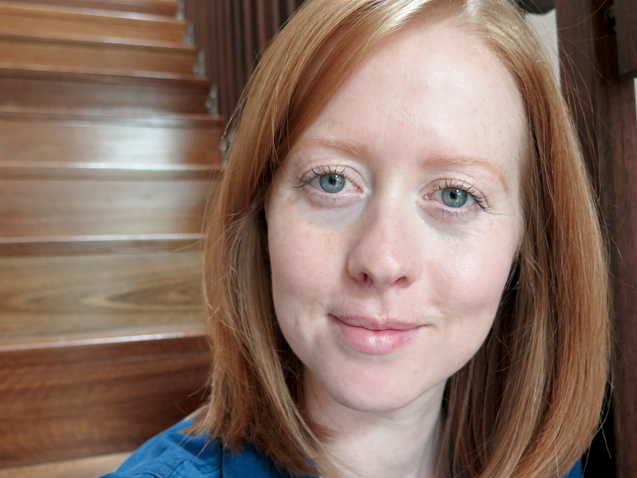 If you have followed my journey to finding as close to zero waste beauty products you'll know I had bought (and love!) a similar product from the US. It's great to have a version of this available in Australia now. The texture has more shine compared to the matte finish of UrbApothecary Tint Stick but i'm still very happy and use it most days. I recently came across lunazerowaste for those based in the UK looking for low-waste mascara. If you have an awesome low-waste beauty product you love, leave a link in the comments for others to find. In case you are wondering I was never asked to review this product by the business, it was purchased myself. Like many people in their 20s music festivals and gigs made up a big part of my social life. 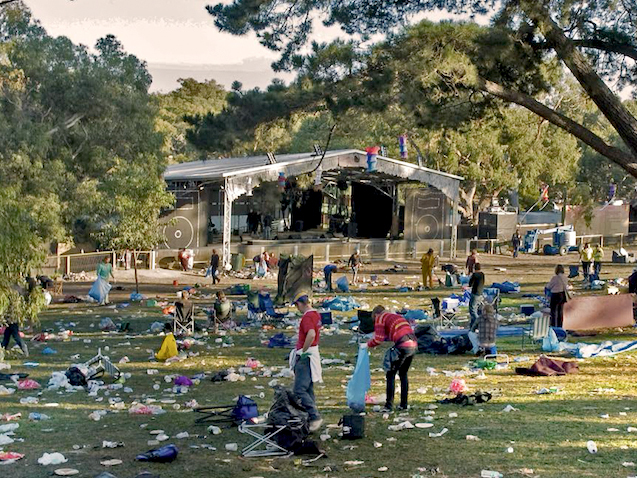 Music festivals and gigs is unquestionably an area where waste is at a peak. I've danced in front of stages on top of forgotten plastic cups, each bounce breaking the material into smaller and smaller pieces. I've stood next to bins trying to find my friends, paying no attention to the fact the bin is actually so full its now spilling out and being blown around the site. Tents have been purchased for music festivals with no intention of taking them home because I assumed someone would collect the tent for someone in need and I could buy another one for at low discounted price. In reality the tent went to landfill. Enticing people into making sustainable choices requires not just education but also providing the means to do so right under their noses until it becomes normal. I remember being at the Australian music festival Homebake in 2007 where festival goers were given 50c off each drink they purchased in exchange for an empty aluminium can they brought back with them to the bar. Needless to say everyone was pouncing on cans wherever you could find them, with people going through the bins to get that discount off their next drink. Providing a cash for container scheme resulted in the festival space staying relatively clean compared to others I've attended. Had this incentive not been provided I doubt any of us would have paid much attention to the cans littering the grass, shoved between tents, piling next to bins. Last year I read an article on Rolling Stone's website about plastic and waste at music festivals. The story opened with the not so shocking statistic of waste created by each festival attendee attending Bonnaroo Music and Arts Festival hovered at 15 pounds (6.8kg per person for those of us from a metric measuring country). Here is a link if you'd like to read the original story. This 15 pounds is almost double that of the daily US average. Artists have the power to use their talents and platforms to help shift change. A singer standing up on stage telling us to use less plastic and save the oceans is great, but really the idea doesn't float well if the event itself sells plastic water bottles and doesn't encourage the audience to bring your own for refills. This is where Green Music Australia come in, by helping musicians turn their events into more sustainable experiences. As part of my Changemakers series I invited Tim Hollo founder of Green Music Australia to talk about the need to green up the music industry and how they are helping to do this. What is Green Music Australia about? Green Music Australia is about harnessing the cultural power of musicians to lead the way to a greener world. We believe that we musicians have a hugely important role to play in influencing people - from the clothes we wear to the food we eat to the words we use, people follow our lead. And we have a responsibility to use that for good, and lead the way out of environmental crises towards a better way of living, in harmony with nature. We run campaigns on issues such as climate change and plastic waste; we work with musicians, festivals and others to help them reduce their impact; and we support musicians to be advocates for change. What inspired you to create tools to help musicians and the music industry reduce their environmental impact? As a musician and an environmentalist, I was getting increasingly frustrated that our music scene, even though it's full of forward thinking, thoughtful people, has this outsized environmental footprint. A few individuals have been doing great things for a long time, but the bulk of the scene wasn't moving. It was time for someone to do something to get that action out across the industry. Do you think the music scene in Australia is wasteful? How do you think this could change? Absolutely. You only have to turn up at a music festival in the evening and see the sea of rubbish to realise how much waste we're responsible for. Or look on the road outside an inner city venue. We go through a huge amount of single use plastic, which is so easy to stop, with a bit of forethought and planning. Disposable stuff is such a new invention! There's really no reason why we can't go back to reusable cups, plates, cutlery and bottles, like everyone used to! Yes, it takes a bit of thought, but that's why Green Music is here to help! Have there been many challenges engaging with musicians or other parts of the music business? The biggest challenge is people thinking it's too difficult. Everyone we talk to wants to do it! But everyone is also so busy, and so close to the edge financially, that they don't want other things to think about. Our challenge is to get them to see how important it is, and to provide solutions to make it easy. I've been to festivals in the past and seen (...and probably contributed) to the plastic bottle waste left behind at the end. 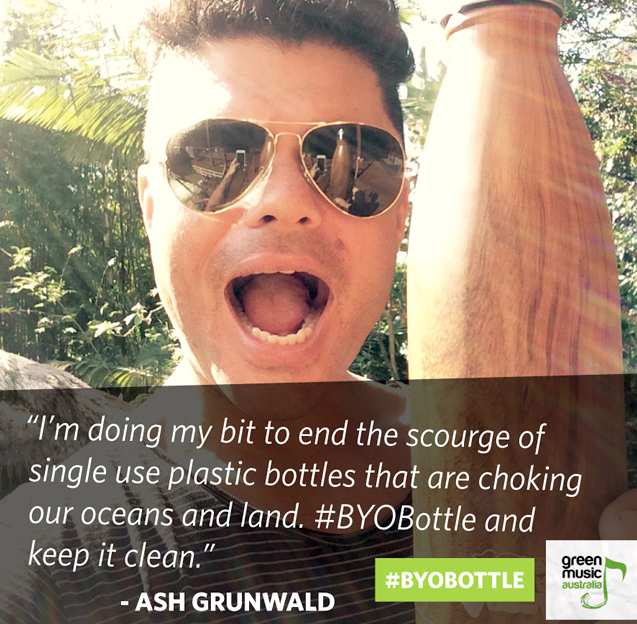 Tell us about your BYO bottle campaign and where this is at. 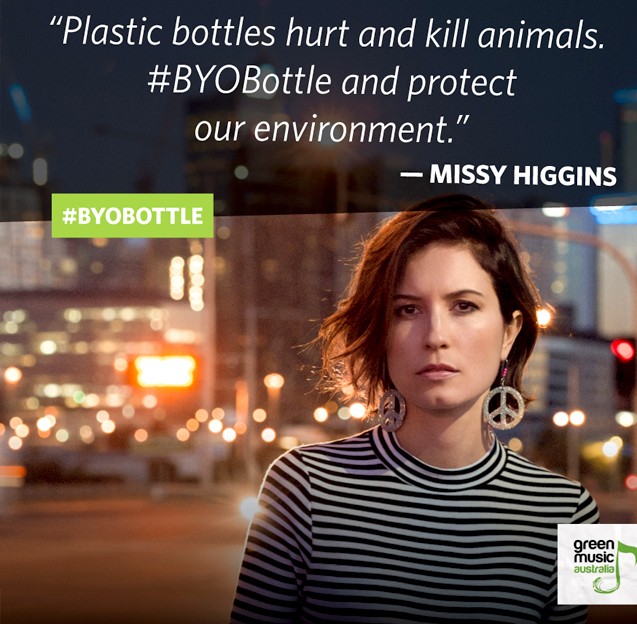 BYOBottle is working to get the music scene to ditch disposables, move to reusables, and stop the enormous stream of plastic waste coming from the music scene. 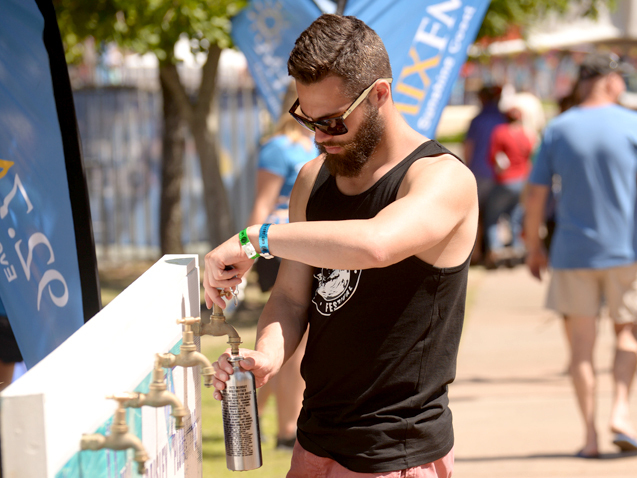 We work with musicians as ambassadors - committing to not using single use plastic bottles themselves and telling venues and festivals they play at that they want jugs or refilling stations made available. And we also work directly with festivals and venues, supporting them to make the change. We've worked with festivals across the country, from Illawarra to Cygnet, from Woodford to WOMADelaide, and the list is growing! We musicians have a hugely important role to play in influencing people - from the clothes we wear to the food we eat to the words we use, people follow our lead. And we have a responsibility to use that for good, and lead the way out of environmental crises towards a better way of living, in harmony with nature. What would be your advice on reducing environmental impact for people attending gigs and festivals? Two simple steps - bring your own bottle (check if metal is allowed and, if not, make sure you bring a reusable plastic one), and either ride your bike, take public transport or at least car pool! Those are by far the best things you can do. If you want to take it a step further, get in touch with the festival and ask them what they're doing to reduce their environmental impact - it's pressure from the punters, more than anything else, that will make them move! And, if you're super keen, get in touch with us to see if there's an opportunity to volunteer at the festival! Describe your ideal sustainable music festival? How would it work? A truly green music festival (and there are a few around the world), would be 100% powered by clean, renewable energy. Ideally some of that would be on site, like solar panels on stages, and dance floors which use the energy of crowds jumping up and down to power the lights! It would also use no single use plastics at all, making sure that all drinks are served in reusable cups or bottles, and food on reusable plates with reusable cutlery. These can easily be collected, washed, and returned to use quickly, with on site dishwashing. 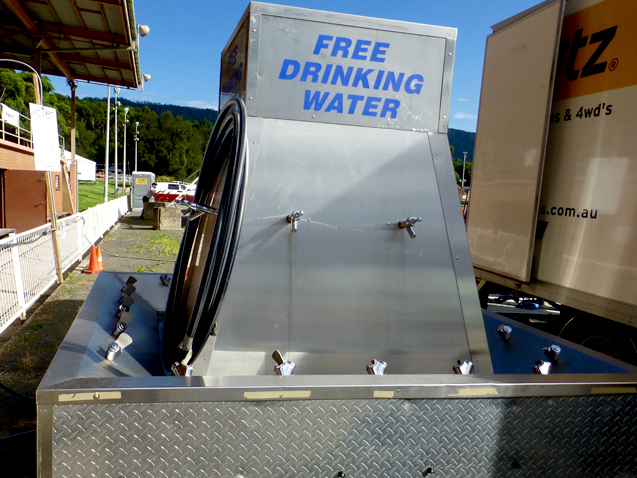 It would, of course, have plenty of water refilling stations around the site, well-sign-posted, because it wouldn't sell any bottled water. And it would encourage all punters and artists to bring their own bottles. And it would make sure that public transport is freely available to punters to use, and provide a cycle valet service to encourage people to ride there, if possible. It would also use green composting toilets, compost all food waste, and separate any rubbish that remains from recycling. What plans does Green Music Australia have for the future? There are a few ideas in the pipeline, but we need more resources before we can think about expanding! At this stage, we are planning on pumping along with the waste campaign! Every single one of us is a citizen of this planet. Every single one of us has a responsibility to act to protect the natural world we are part of. And we musicians have an especially important role. It's time we took that seriously, and led the way to a greener world.